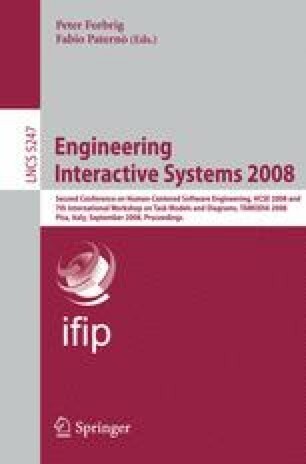 One approach for improving the usability of interactive systems is adapting them to user behavior, which can be accomplished by adaptation rules. The advantage of rules is that they are explicit and intuitive, but their expressivity depends on the richness of the underlying data model. In this paper, a framework for the adaptation of interactive systems is presented that relies on a uniform ontology-based information representation, for instance for the system and the user model. Such a description can then be employed by the adaptation rules. By adding semantic information, the scope of the rules is widened. Moreover, special emphasis is put on the dynamic aspects of interactive systems, mainly the interaction of the user with the system and system events. Exemplary rules used in an interactive TV prototype illustrate this framework.